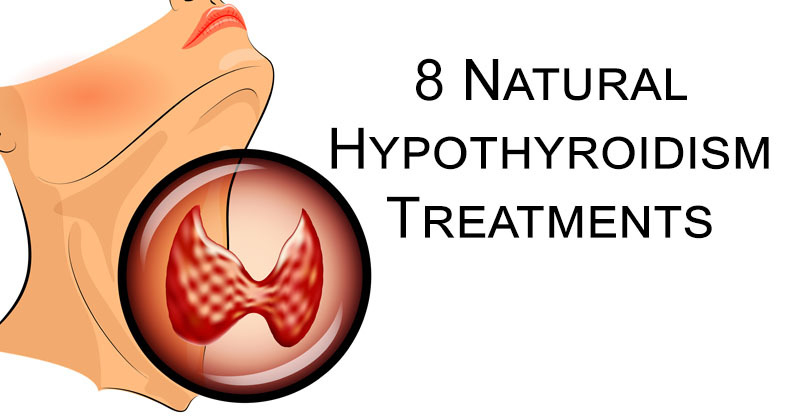 Hypothyroidism is the state of an underactive thyroid gland, which cannot release sufficient amounts of thyroid hormone, and thus the body cannot run normally. However, it can be corrected in a number of ways in a natural way, most of which include dietary changes, and the inclusion of the proper minerals and supplements. The excessive consumption of carbs negatively affects this gland and raises estrogen levels in the body. Therefore, replace sugars and grains with healthy fats. Wheat and dairy products are the cause of numerous allergies and food intolerances since they are the hybridized proteins of gluten and a1 casein. These proteins might cause a “leaky gut”, which affects the function of this gland and lead to inflammation. Therefore, avoid grains, or at least completely eliminate gluten, and focus on dairy products that come from A2 cows, goat milk, or sheep milk only. Optimize the levels of selenium in the body, by consuming more mushrooms, Brazil nuts, and sunflower seeds. It is beneficial to start with tulsi and ashwagandha in order to improve thyroid function. Bisphenol A (BPA) is a potent disruptor of the endocrine system and has negative effects on the thyroid. Since plastic bottles contain it, you should drink out of glass, stainless steel, or BPA free plastic bottles only. Only if your iodine levels are low, you should consume more kelp or take organic liquid iodine supplement to correct this deficiency. Yet, make sure you do not consume too much of it, as it might lead to adverse effects. You should consult your dentist about the removal of your amalgam fillings. To detoxify the body from heavy metals, you should drink milk thistle, turmeric, chlorella, and cilantro.